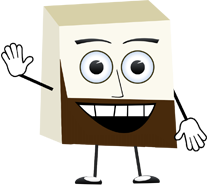 Hi there – Robert here. Just wanted to let you know that it has just been announced that John is the winner of Seatrade’s first-ever “Sea Going Employee of the Year.” The award is being presented as we speak at the Seatrade Europe convention in Hamburg, Germany. Although John wasn’t able to get away from the Carnival Freedom to accept the award in person, David Dingle, CEO of Carnival UK, was on hand to accept on John behalf and read some comments from John. The press release on this award follows this message.Please join me in congratulating John and many thanks to everyone who voted for him. MIAMI (September 25, 2007) – John Heald – Carnival Freedom’s senior cruise director whose blog has become a cruise industry sensation, with nearly 700,000 visitors since its debut in March – has been named “Sea Going Employee of the Year” by Seatrade Insider, a leading on-line source for cruise industry news and information. The award, which was presented earlier today at the Seatrade Europe opening party held at the Schmidt’s Tivoli Theatre in Hamburg, recognizes the shipboard employee who has made a significant contribution to the cruise industry over the past year. The award was based on a survey of Seatrade Insider readers, with Heald receiving more votes among the six candidates vying for the honor. “Thanks to everyone who voted for me – I am truly honoured (spelt correctly),” Heald said. “I would also like to thank my fellow nominees for their contributions to our industry, as well as all of my readers and the incredibly supportive Carnival staff both onboard and ashore. Most of all, I would like to thank my wife Heidi. There is nothing I wouldn’t do for her and there is nothing she wouldn’t do for me. That’s what makes us such a great team – we do nothing for each other,” he added. 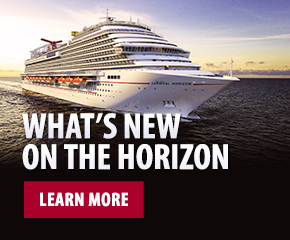 Originally part of a micro-site created for the launch of the Carnival Freedom in March, Heald’s blog has taken on a life of its own and has become the most popular cruise-related related blog on the Internet. Located within Carnival’s web site (www.carnival.com) and that of its parent company (www.carnivalcorp.com), the blog serves as a forum for Heald to share interesting and colorful tales of daily life aboard the Carnival Freedom during its inaugural European cruise season. The blog has even spawned its own cruise, the John Heald Bloggers Cruise, a seven-day Caribbean voyage from Miami on the Carnival Freedom in January 2008. Within the comprehensive site, Heald discusses various aspects of the Carnival vacation experience in an open and candid manner and also answers reader questions on a wide variety of topics, both cruise and non-cruise related. Heald also provides travel tips for those sailing on Carnival vessels and occasionally interviews his fellow cruise line employees and executives. Most recently, Heald had the opportunity to interview John Cleese while the legendary British actor/comedian was sailing on a trans-Atlantic voyage aboard the Queen Mary 2. The interview was carried as a podcast with the audio recording uploaded to the site. Heald’s accolade was one of seven presented at the inaugural Seatrade Insider Cruise Awards 2007, including Port of the Year, Destination of the Year, Supplier of the Year, Environmental Initiative, F&B/Hotel Operations and Seatrade European Personality of the Year. “The fact we received over 60 nominations from companies and individuals located around the world: from Australasia to North America, from the Middle East to South America and from Europe, reflects the truly global nature of today’s cruise business and we are delighted that the scheme has generated such interest in its launch year,” says Mary Bond, editor of Seatrade Insider and Seatrade Cruise Review. The “Sea Going Employee of the Year” award attracted a significant number of votes across the six candidates, which justifies Seatrade’s decision to include this category, as shipboard staff are often overlooked in industry award schemes, according to Bond. Carnival is currently accepting reservations on the John Heald Bloggers Cruise. The week-long voyage will operate round-trip from Miami Jan. 19-26, 2008, and will visit three of Heald’s favorite ports – Cozumel, Grand Cayman and Ocho Rios. Prices start at $599 per person based on double occupancy. I am sorry I could not be with you today to collect this award but I am still onboard the Carnival Freedom in the Mediterranean. This has been a wonderful year and writing the blog has, I hope, served to introduce cruising to many new people. I would also like to thank and congratulate my fellow nominees for their contributions to our wonderful industry, as well as the Seatrade organizers for creating the Seagoing Employee of the Year award which is unique in that it showcases those who have helped make cruising such a unique and memorable vacation for millions of guests each year. The shipboard employees are truly the frontline ambassadors of our industry. And, finally, I would like to thank the readers of my blog, and the incredibly supportive staff at Carnival, both onboard and ashore. I share this award with my wife Heidi unless there is any money involved in which case I don’t. The blog – which is now up to 700,000 visitors since its debut in March – has provided me with a wonderful forum to communicate with cruise enthusiasts all over the world. I hope you’ve had a chance to check it out. If not please take a look and help us hit the million mark! The blog can be accessed at Carnival’s web site, carnival.com or at johnheald.wordpress.com. Thank again for this wonderful award. It is certainly a highlight of my career and I wish everyone a successful and productive Seatrade conference.